On Christmas night we held our simple, moving service. We began with the Lord’s Prayer, after which a choir sang carols, directed by the former conductor of the Air Force Academy Choir, Captain Quincy Collins. I thought they were quite good, excellent, in fact. Although I confess that the regularity with which they practiced in the weeks prior to Christmas occasionally grated on my nerves. But that night, the hymns were rendered with more feeling and were more inspirational than the offerings of the world’s most celebrated choirs. We all joined in the singing, nervous and furtive at first, fearing the guards would disrupt the service if we sang too loudly. With each hymn, however, we grew bolder, and our voices rose with emotion. Between each hymn, I read a portion of the story of Christ’s birth from the pages I had copied. The lightbulbs hanging from the ceiling illuminated our gaunt, unshaven, dirty, and generally wretched congregation. But for a moment we all had the absolutely exquisite feeling that our burdens had been lifted. Some of us had attended Christmas services in prison before. But they had been Vietnamese productions, spiritless, ludicrous stage shows. This was our service, the only one we had ever been allowed to hold. It was more sacred to me than any service I had attended in the past, or any service I have attended since. We gave prayers of thanks for the Christ child, for our families and homes, for our country. We half expected the guards to barge in and force us to conclude the service. Every now and then we glanced up at the windows to see if they were watching us as they had during the Church Riot. But when I looked up at the bars that evening, I wished they had been looking in. I wanted them to see us–faithful, joyful, and triumphant. While not an official chaplain, “Chaplain” John McCain recognized the need of his congregation and provided for them a sense of the holy in the midst of a hell, a task chaplains are charged with today regardless of the uniform they wear or the insignia they display. 1 https://www.csmonitor.com/2007/1018/p01s06-uspo.html, accessed 25 Aug 18. 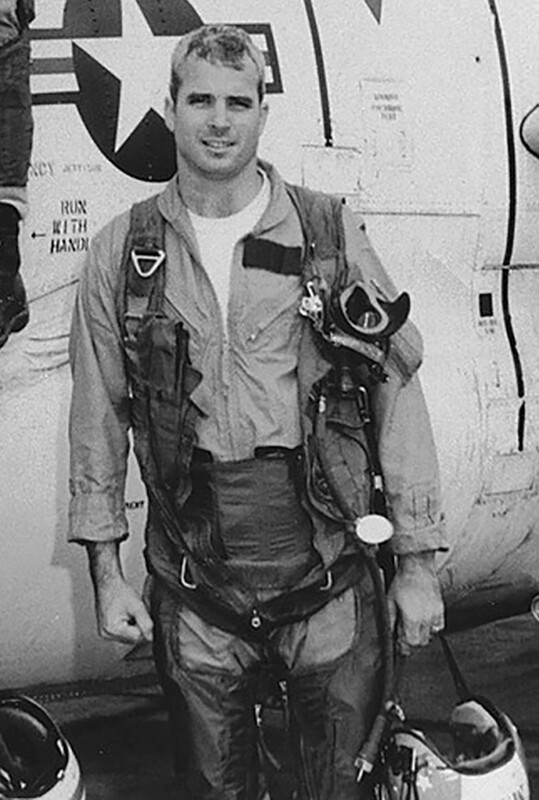 3John McCain, Faith of My Fathers. New York: Random House, 1999, 331-332. 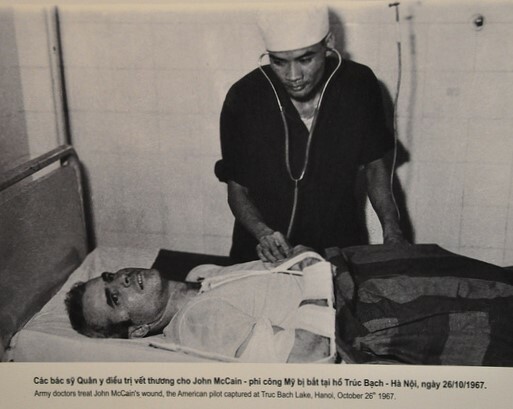 Posted on 25 August 2018, in History and tagged Christmas, Faith of My Fathers, Hanoi Hilton, John McCain, POW, Prisoner of War, Quincy Collins, Vietnam War. Bookmark the permalink. 2 Comments. Great article Daryl! What a beautiful recollection of the late Senator John McCain. CH Kimberly Hall — your fellow classmate at Wesley. Thank you Kimberly, and thanks for stopping by!